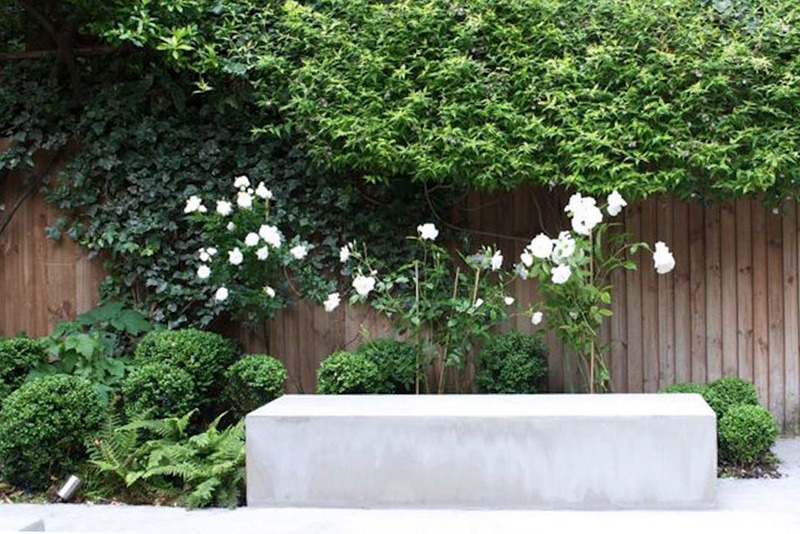 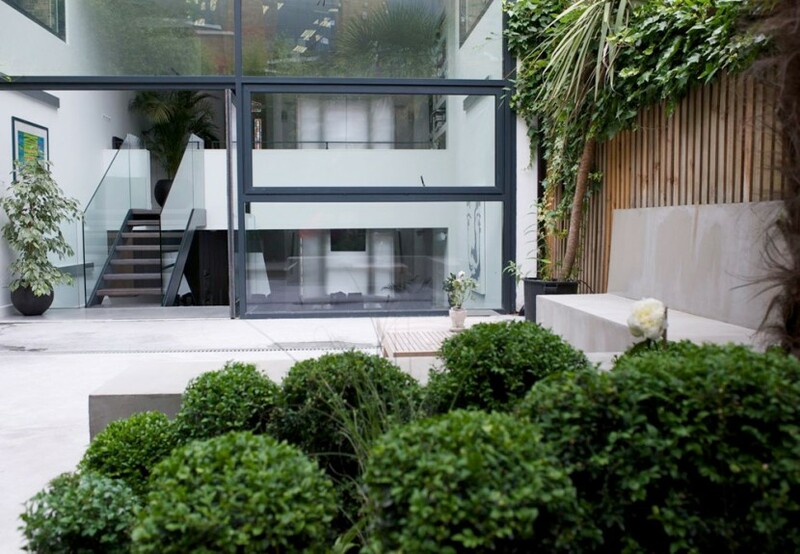 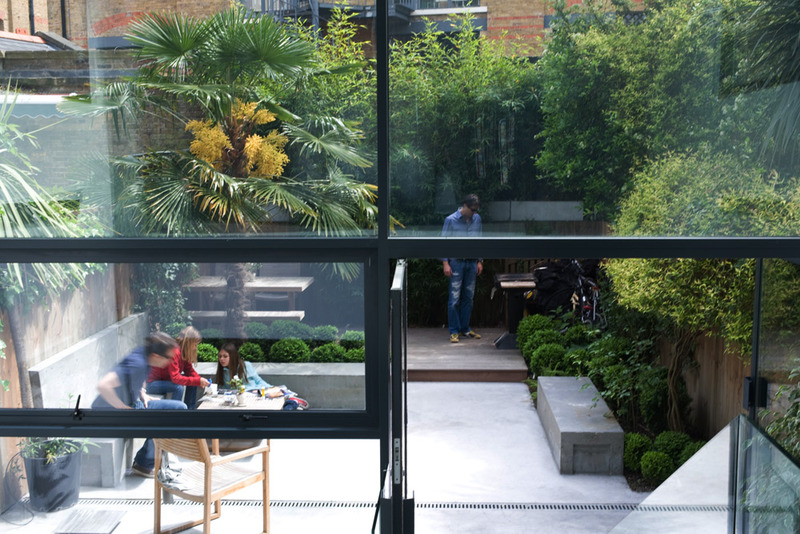 After a modern extension was added to the back of the house, the garden was in need of a contemporary look. 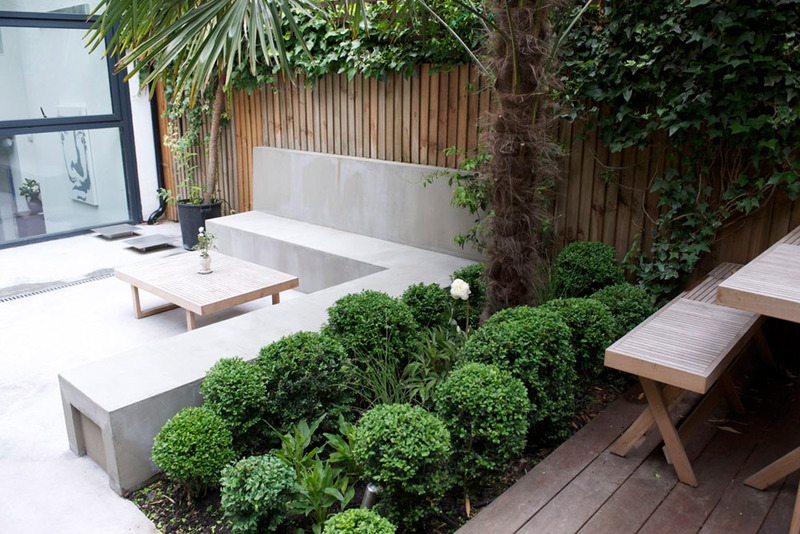 Concrete floors, hardwood decking, built-in concrete seats match the new style of the house. 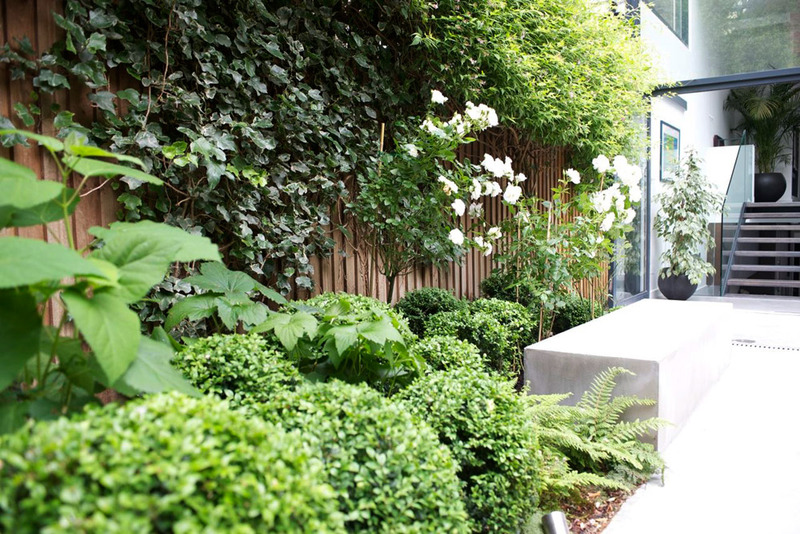 White flowering herbaceous plants and climbers and evergreen shrubs give interest all year long. 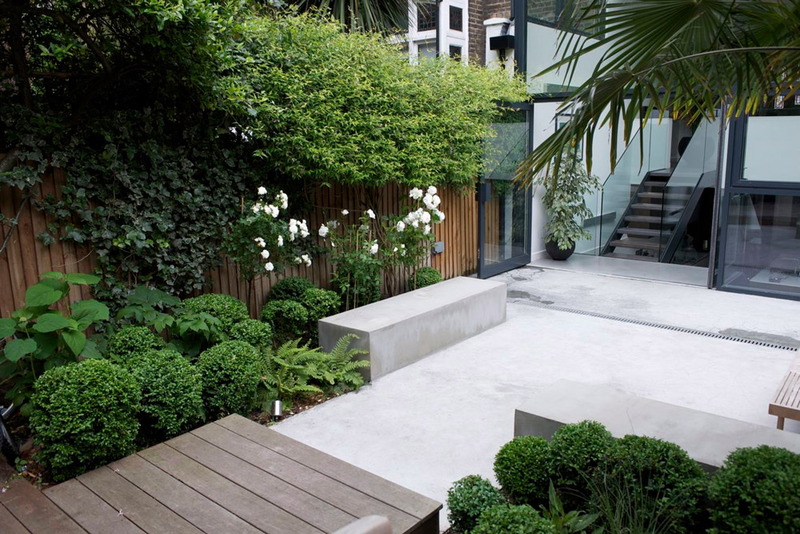 The existing planting has been incorporated into the planting and elegant bamboos hide the tall back wall. 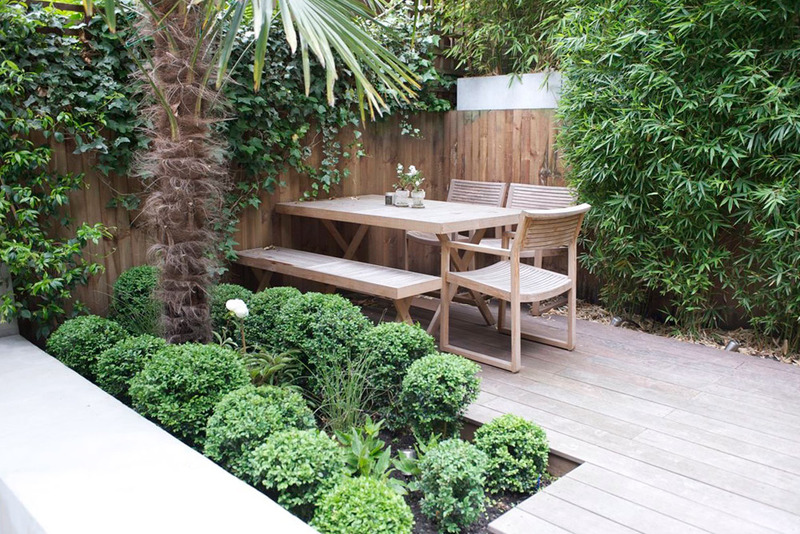 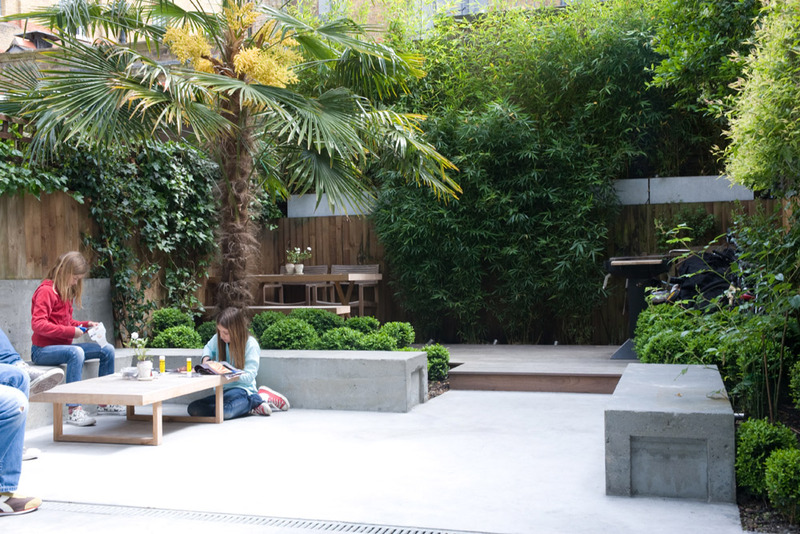 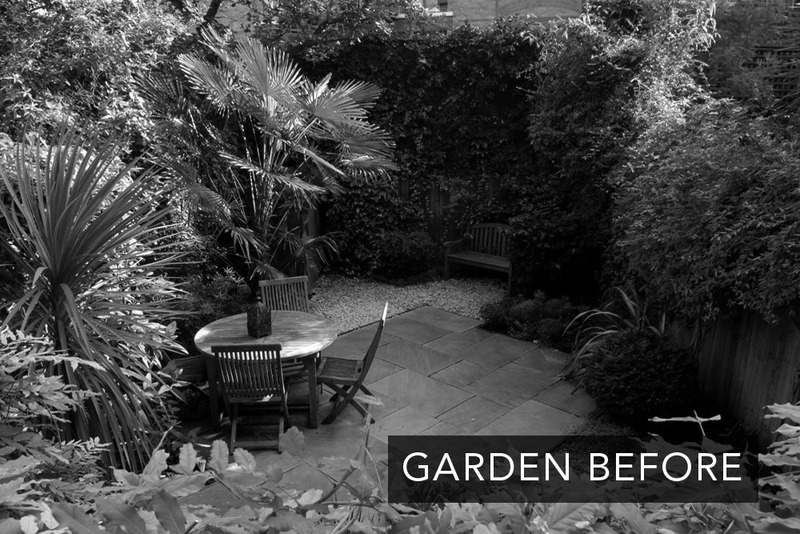 The former layout of this garden had also been designed by Claire Garden Design !